Starting this April, we’re Launching a monthly brainstorm luncheon! Each month, we will choose up to 10 plaintiff attorneys to attend our luncheon. 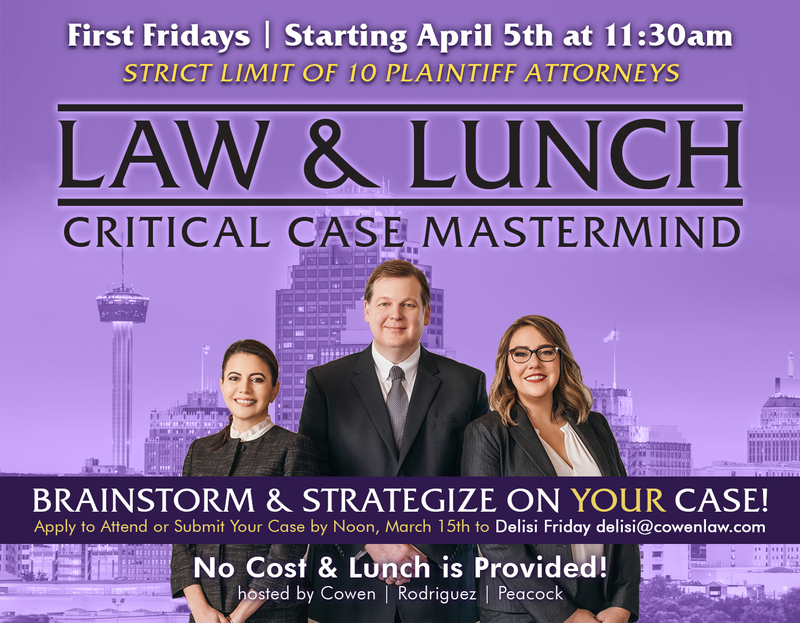 Attorneys who are attending the next luncheon can submit a case 3 weeks before the luncheon, which they want to be selected for discussion with the group. The CRP team will review all submissions and will choose 1 case to be the focus of the meeting. A brief synopsis of the case and goals for the brainstorming session will be shared with all meeting attendees 2 weeks before the luncheon. On the meeting day, we will all come together to discuss, brainstorm, and strategize about the case. Attendees do not need to be located in San Antonio, Texas. 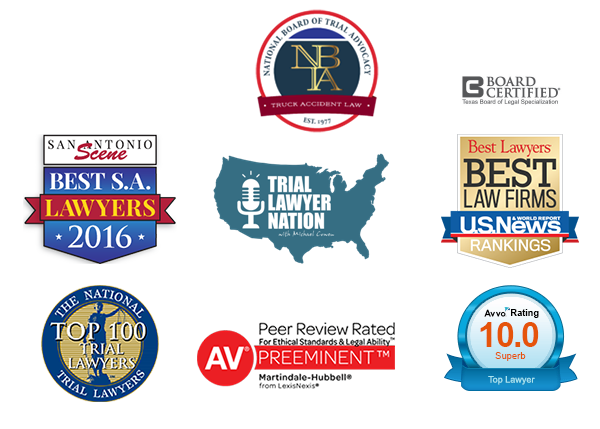 We welcome attorneys from out of town, however the lunch will be in San Antonio and you must be in the room in order to participate. Every attorney who participates will also be required to sign a confidentiality agreement. We hope these Law and Lunch Brainstorms will be of benefit to all: the attorney whose case we work on as well as those who share their hard-won expertise with the group. We all have something to teach each other; and the moment we think we know it all is the moment we lose our edge as trial lawyers. Our first meeting will be Friday, April 5th at 11:30 am. There is no fee to attend and lunch is included. For more information or to request to attend, contact Delisi Friday at delisi@cowenlaw.com. Deadline for case submissions is Friday, March 15th at Noon.